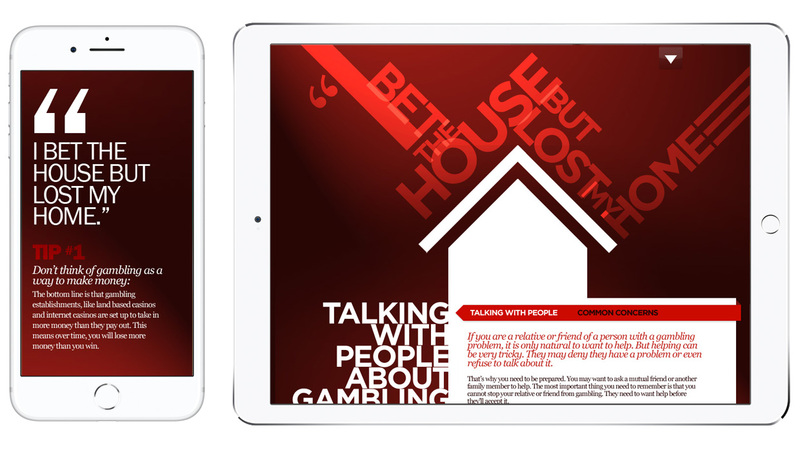 Designed for RGC (Responsible Gambling Council). 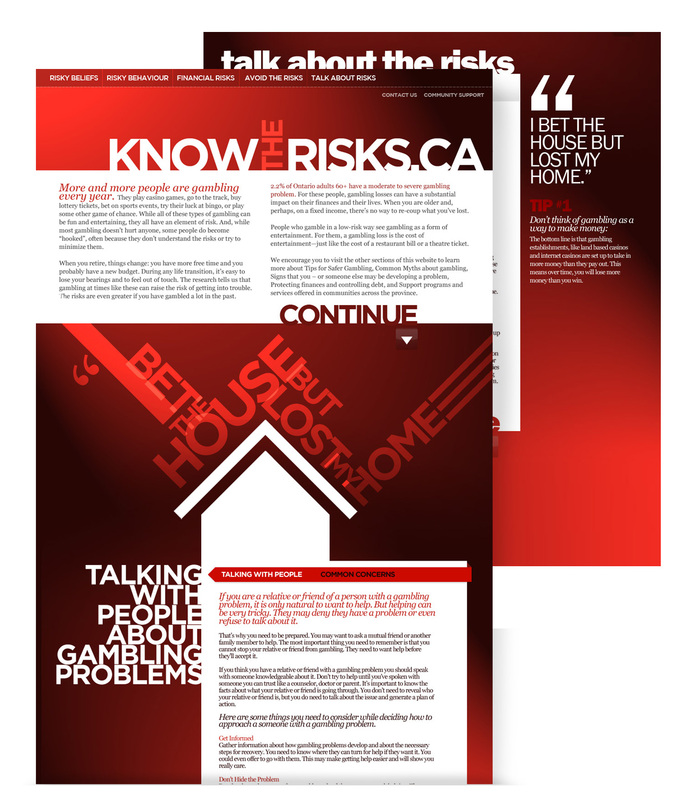 knowtherisks.ca was developed to create awareness about gambling problems in older adults. This site was designed using a single page layout incorporating interactive navigational arrows to direct the user down the page. Built using a flexable reponsive design framework, this site was built to reacted automatically to change design formats when viewing on multiple devices. 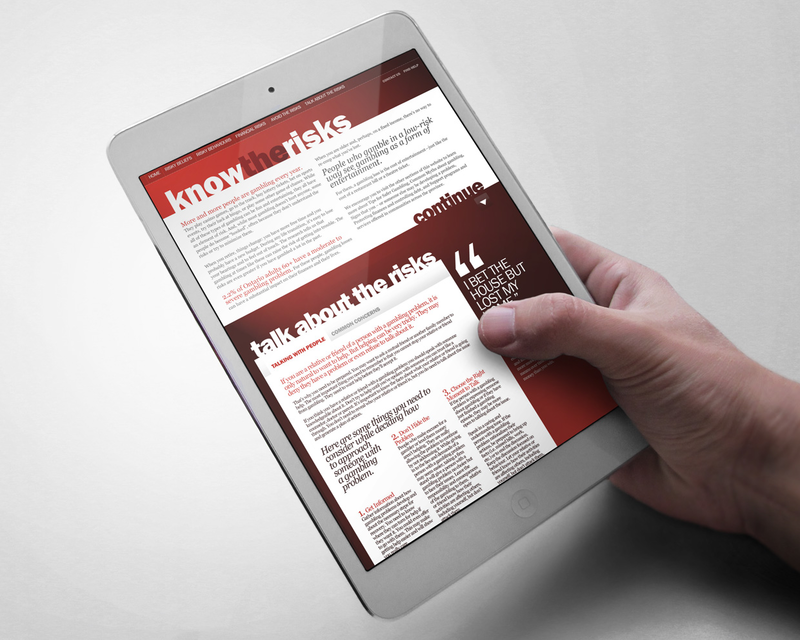 The use of dynamic type and bold colours allowed the content to be easily digested and the tabs and content dividers also allowed for more copy to be accessed by the reader.